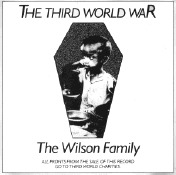 The Official Wilson Family website.. Here's a Health to the Company! 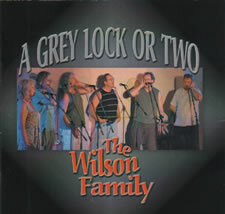 As another New Year's Eve approaches, it's frightening to reflect that 2009 will be the 30th anniversary of the current Wilson family line up as a performing folk group. Whilst Tom, Chris and Steve had sung three part back as far as 1974, it was not until Dave Verrill booked the whole family to do a night at the 'Top House Folk Club' at Marske that we even considered going out as a six-some and it was probably not until 1981, when we recorded 'Aall tegithor like the foaks o'Shields', that we became fully fledged. Biographies have appeared in numerous festival programmes and other material since then so we've made the assumption that most people will have at least some acquintance with who we are and where we are from. A collection of songs about the women of Tyneside over the past two centuries. A collection of songs from the Pen of Graeme Miles. 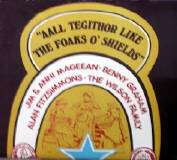 This live album, recorded at the Sun Inn Folk Club in Stockton, and various festival performances during the 1996 season, includes many of our enduringly best loved songs and a bit of "craic". 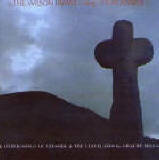 This "single" was produced and sold to raise money for the Ethiopian Famine. 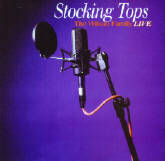 An eclectic mixture of tradition songs and contemporary social comment, the songs included in this album were prompted by the number of people asking for them to be recorded and, simply, that we loved to sing 'em. In addition to the above we have contributed single tracks to various compilation albums, including "A Full Head of Steam" and "Voices", and have made guest appearances on other albums. Steve and Mike have appeared on some of the earlier "Keelers" albums. Our Ken has also recorded an individual album entitled "Not Before Time"
Copyright © 2014, The Wilson Family. All rights reserved.